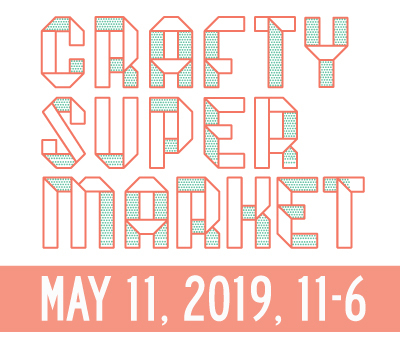 Just the most rad indie craft show Cincinnati’s ever seen! Here’s a brief history, and in general, we do two shows a year — one in spring that attracts more than 100 makers and 3,500 shoppers, and one around the end of year holiday season that attracts more than 100 makers and 6,000 shoppers. Our next show is slated for December 1, 2018 at the Music Hall Ballroom. How much does it cost to attend as a shopper? It’s totally free and open to the public! What is indie craft, anyway? We’re glad you asked! See this blog post for a little info on indie craft. The spring AND holiday shows are at Music Hall Ballroom at 1241 Elm St., Cincinnati, OH 45202. It’s right next to Washington Park in Over-the-Rhine, with easily accessed parking under Washington Park and on Central Parkway. I want to help out at the show — can I do that? Yes! Volunteers help us out in three-hour shifts on the day of the show and the night before. Volunteers hand out show programs, help craft vendors and shoppers, and are generally indispensible. Email us to learn more or click here for more info and to submit your information. I sell food — can I be in the show? We invite a limited number food vendors who are selling ready-to-eat items. Food vendors can apply here. 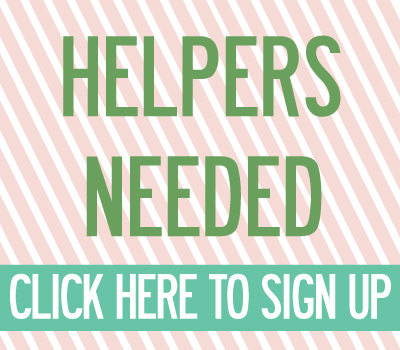 People making giftable food items can apply through our regular vendor application. Food vendors will be notified by October 1 of their status. Food vendor fee is $200. I’d like to sponsor Crafty Supermarket! That’s awesome! Contact us to learn more. Any business can contribute items for our famous swag bags. We give away 130 swag bags to the first lucky shoppers of the day and our volunteers. If you’d like to contribute any promotional material you have (such as postcards, stickers, buttons, coupons, flyers, etc.) please prepare 130 pieces by November 25 and send them to: Crafty Supermarket, PO Box 24363, Cincinnati, OH 45224. I’m a member of the media and want to do a story about Crafty Supermarket. Who do I contact? Just e-mail us! We would be happy to talk to you. And we have lots of on-camera experience in case you’re looking for a lively TV segment. Can I get on your mailing list to find out about new events? Absolutely! Just click here to sign up. How can I sell my handmade goods at your show? We post an online application here on our website about four months before each show. All crafter applications must be submitted on the website within that time period. Applications for our 2018 holiday show are open from July 15 to September 1. You can see info on the shows we have planned here. Keep following us on Facebook or Twitter and sign up for our e-newsletter to get notifications of upcoming calls for crafters! Why do you charge that? We charge a nominal application fee to ensure that the people applying to our show are serious sellers. The application and table fees help cover our costs of venue rental, table rental, promotions, administrative costs, printing and supplies, plus the scores of hours we spend putting together each show. Our table fees and application fees are on par with other major indie craft shows in the region, and they help us ensure that our vendors have a great day of sales! What kind of makers are you looking for? Important: We do not allow mass-produced items in the show. No direct-sellers, social-sellers or other resellers will be accepted. This includes Avon, Miche, Thirty-One, Silpada and the like. Sure! Two businesses applying to share a table only have to fill out one application together. Just mark that box in your application and include the other person’s name, business name and website. No more than two craft businesses to a table, please. Also note that your acceptance for the show is nontransferable — if we accept you as a vendor, you can’t give your table to someone else or add a friend who wasn’t included in your application. Does every maker who applies get into the show? Because we receive so many applications, we can only accept a small percentage of them to be vendors. We consider a lot of things in the judging process, including price range, originality, quality of work, overall style and how many vendors are selling similar objects. Being accepted for past shows doesn’t guarantee acceptance in future shows. Likewise, if your application was rejected from an earlier show, it doesn’t mean you’ll never be accepted. We aim to have at least 30 percent new-to-us vendors at each show. We’re sorry, but we can’t offer feedback on whether you will be accepted before you apply. Check out our previous shows’ crafter lists to get an idea of what kind of sellers we have included in the past! Note: If accepted, we expect the artist to be present at the show. If there will be an exception, please indicate that on the application. If you get so many applications, why don’t you make the show bigger? We’ve taken a measured approach to growing the show to make sure that the crowd grows along with the number of crafters and that our vendors have a great day of sales. Currently we are maximizing the space at Music Hall and we will see what that means for our future. How do you promote Crafty Supermarket? We send out e-newsletters to our mailing list of more than 3,500 fans, and send out updates (and buy promoted posts) on Facebook, Twitter, Instagram and Pinterest. We post the event to many online calendars, regional tourism bureaus and craft event listings. We create 100 handmade craft show posters that are printed locally and posted in businesses around the Cincinnati region. We also spread the word with flyers that we distribute around Cincinnati and send to indie craft shops across the Midwest. We reach out to our contacts in local and regional media, including TV, radio, magazines, newspapers and blogs, to get editorial coverage for the show. 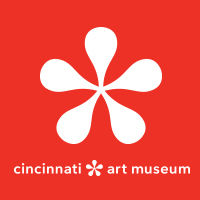 We’ve got an ongoing partnership with Cincinnati Magazine, and many of our crafters have been featured on FOX 19’s morning show. We work with local likeminded organizations and businesses to promote the show. We also give our crafters tools to promote the show via their own websites and social media. Our makers have a loud voice when we all work together!